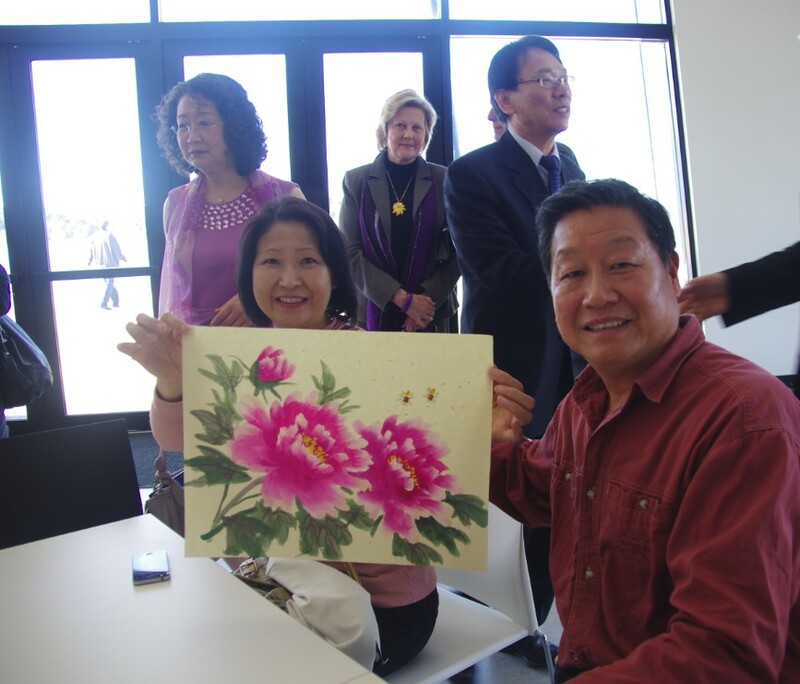 This Exhibition, from 28 August to 15 September 2013, celebrated the Canberra Centenary by presenting selected art works by Chinese artists who currently live or have lived in Canberra. The artists participated in this exhibition were Cunde Wang, Jason Chen, Billy Chan, An Pan and Lay Chou. 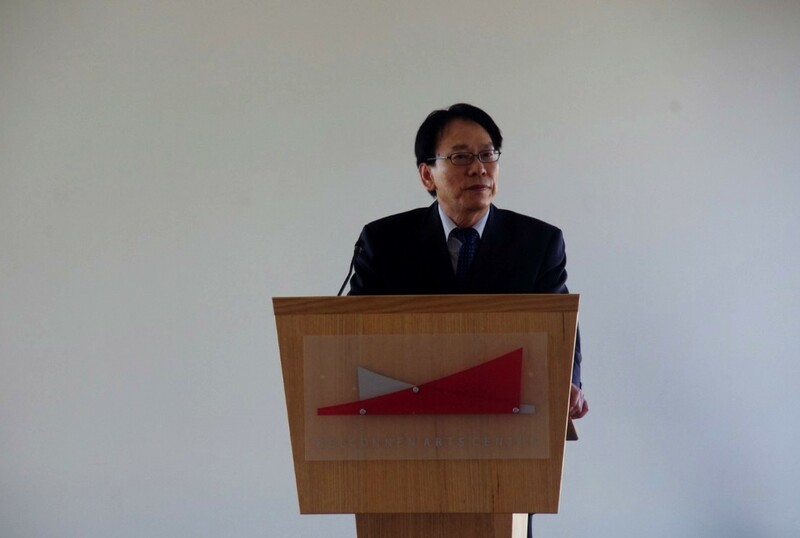 The exhibition was made possible by the support of the ACT Government’s 2012-13 Multicultural Grants Program and the assistance from the Belconnen Arts Centre. The opening ceremony was held on 1 September in the Foyer of the Belconnen Arts Centre. 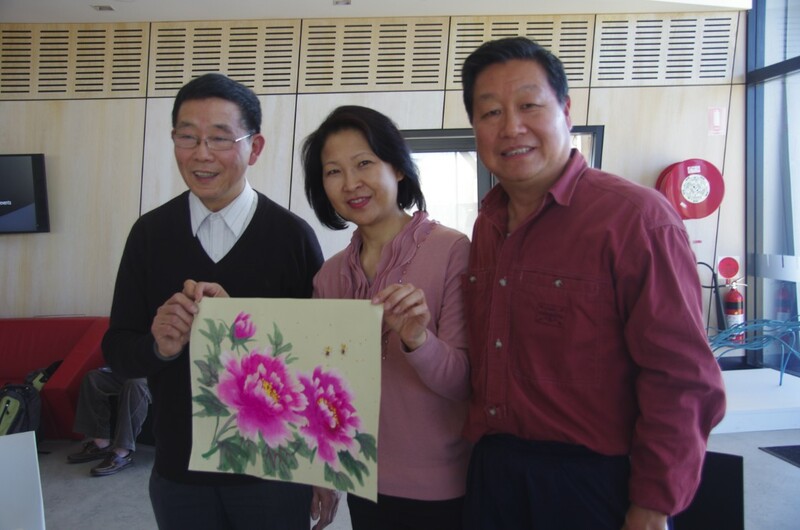 This is the eighth ACCEPA Art Exhibition of the combined art works by artists of various styles.This Exhibition 2013 celebrates the Canberra Centenary by presenting selected art works by Chinese artists who currently live or have lived in Canberra. 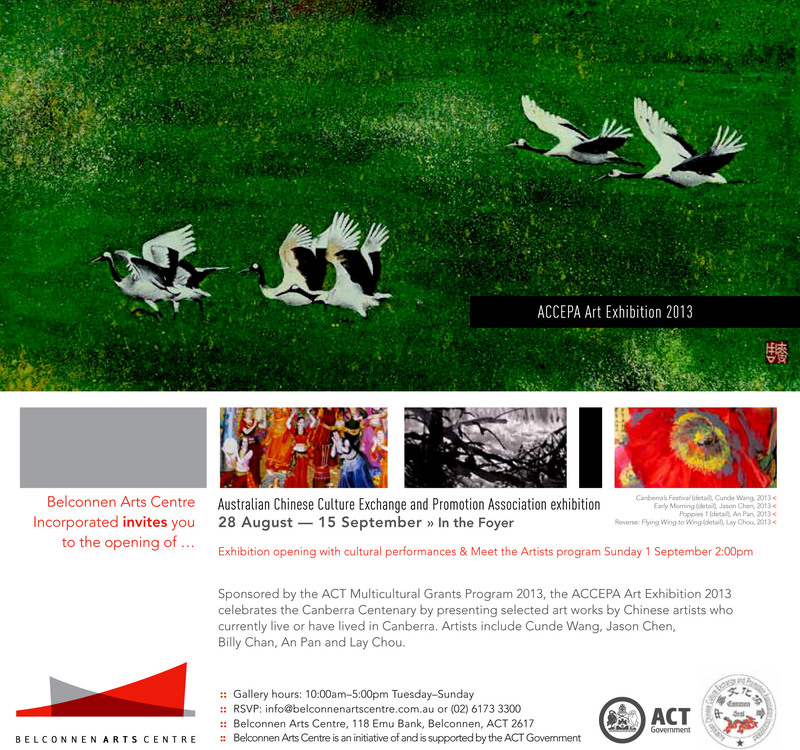 The artists participate in this exhibition are Cunde Wang, Jason Chen, Billy Chan, An Pan and Lay Chou.The exhibition has been made possible by the support of the ACT Government’s 2012-13 Multicultural Grants Program and the assistance from the Belconnen Arts Centre.